"There's a butterfly inside of you that's getting ready to come out. And when it happens, you'll know why you've had to spend such a particularly long, arduous season in that cocoon you are in. Butterflies don't happen overnight, you know; they're developed over time. It is truly a process and a necessary one at that. A lot goes on inside of that closed, dark space and the only way to get out is to allow the metamorphosis to fully take place. In other words, you must allow Me to have My way in you and your life. 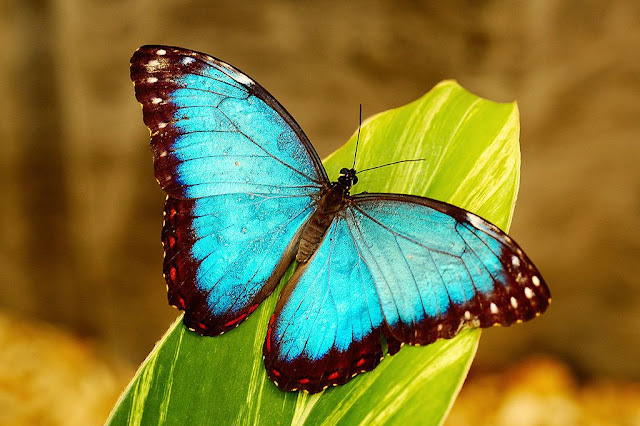 You, beloved, were created for a certain purpose and this purpose requires highly developed wings; wings that are specially trained, shaped, colored, and marked; wings that must endure; wings that not only hold Kingdom direction but also My sound - your wings carry the sound of Heaven within them. I have embedded My etchings within them also, which is a sign of the deep work you have allowed Me to do in you. Yes, the cocoon has been your perfecting ground, and I see that it is good. I want to tell you that not only are you in a very sacred place with Me; you are exactly where I want you. Know the time is soon when I will call for you to emerge from this cocoon and begin your appointed flight. You will be astounded by the excellence of the transformation taking place in here; especially how fragrant you are. Yes, you'll discover you have been saturated with the fragrance of Jesus during this time you've spent sealed off with Him too. This will be the most beautiful thing of all - that you carry His fragrance. And when you realize how He's been working all these things together for your good, even during your darkest times, you will weep for joy. Trust Me; this process is worth it. Your wings are almost ready."